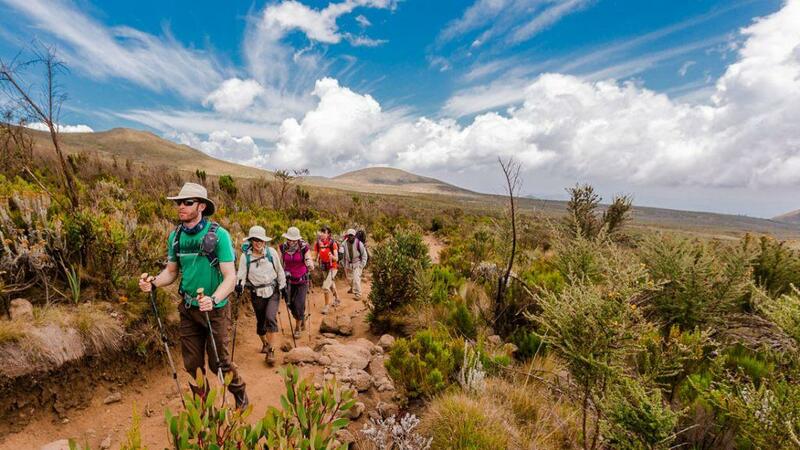 8 Days Chogoria Route on the ascent of the little-used Timau Route, on your way to 4,985 m trekking high summit Point Lenana, you will cross several vegetation zones and experience dense forest, moorland with giant lobelia and Senecias and valleys with beautiful mountain lakes. You leave Nairobi at 8:00 am and drive to Mountain Rock Hotel in Nanyuki for lunch. 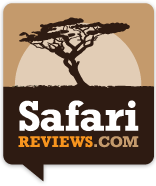 The afternoon can be used for an optional visit to the Sweet waters Game Reserve or to the cave-hideouts of the Mau Mau freedom fighters during Kenya’s struggle for independence. After breakfast you drive northwestwards crossing the equator and on to the School of Adventure (70 km), the base of Mt. Kenya trail at 2900 m. Here you meet with your crew and after introductions you start the climb at 11:30 am. The 5 hours hike takes you to Marania Campsite at 3300 m in middle of the moorland, leaving behind a beautiful forest inhabited by a variety of wildlife. After breakfast you continue with your climb heading for Major’s Camp (4000 m). Your path will be surrounded by plenty of senecia and lobelia. Lunch will be at Allan’s Point. The hike takes about 6 hours. Day 4-Ascent to Ship tons Hut Today`s trek passes the scenic Terere and Sendeo peaks. The 6-hour hike takes you up to 4600 m reaching the alpine desert and down again to Shiptons Camp at 4200 m. The night will be spent at the Ship tons Hut at the end of the Mackinders Valley with the 3 “Masai” Batian, Nelion and Lenana towering above you. Your climb continues taking you round the peaks of Nelion and Batian. Two screes up to 4600 m will have to be passed. After lunch at Two Tarn Hut, you continue with your hike down to Mackinders Camp at 4200 m in the Teleki Valley. The night will be spent at the Teleki Hut (Mackinders Camp). Today you descend to the Meru Mt. Kenya Bandas at 3000 m. First you have a steep ascend followed by a gentle 3-4 hour downhill track. On your way you may encounter buffalos, klippspringer, zebra and sometimes elephant. At the bandas the crew will prepare a delicious barbecue dinner, while you enjoy the first hot shower after 6 days of Mt. Kenya adventures. fwd vehicles will take you to Chogoria. You will have lunch at the forest gate, bid the crew goodbye and meet your driver for the trip back to Nairobi or any other onward destination.